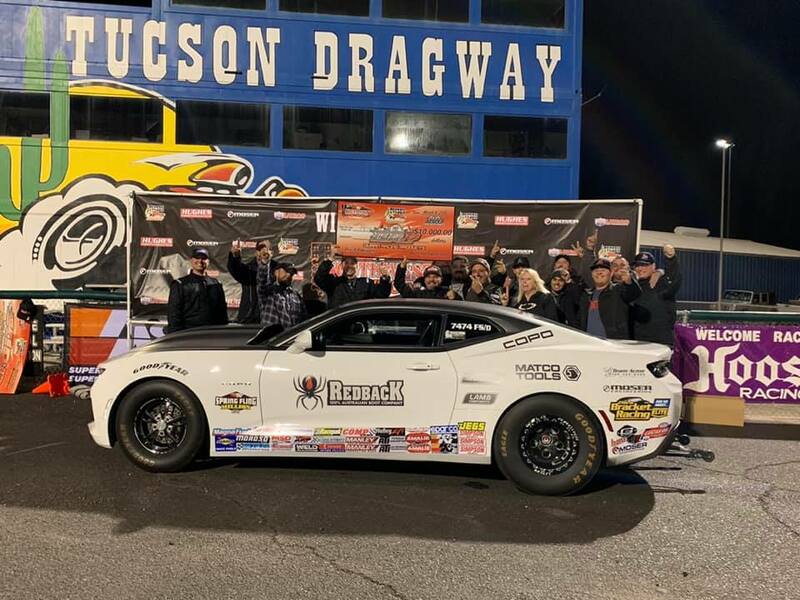 Thursday at Tucson Dragway for the 3rd Annual Southwest Showdown Presented by K&N saw Lori Warden take home the $1,000 Run for The Money Shootout over Pro Racer Kalim Menzel. Warden advanced to the final after beating Morgan Thompson on the Super Pro side, while Menzel took the win in the Pro over Brian Kam. 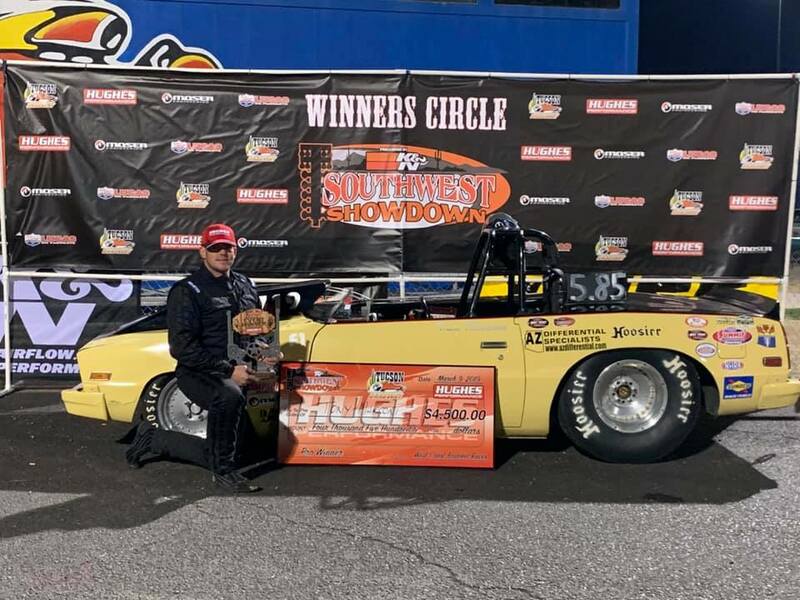 Tony Marconi and Peter Biondo collect the Hughes Performance Main Events Saturday at the Showdown!! 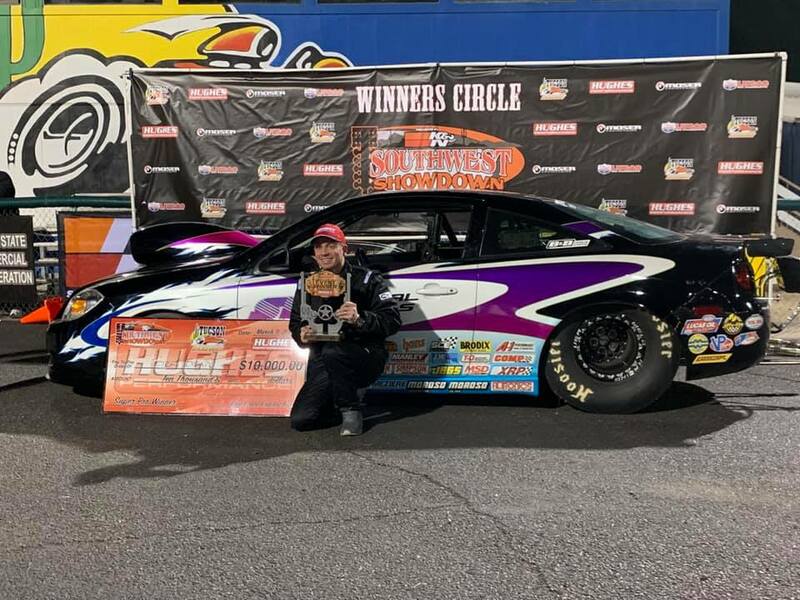 Reigning WCBR Super Pro Points Champion Peter Biondo collected his 2nd Main Event Title on Hughes Performance Saturday for $10,000 in Phil Unruhs Cobalt with a narrow victory over Gabe Torres. Marconi, a consistent Bottom Bulb standout in WCBR events, claimed the Pro $4,500 payday when he parlayed the victory and the Specialty Fastener Bounty Award by lighting the finish line bulb over Friday Winner Tibor Kadar. Peter Biondo collects 2nd $10,000 Big Check in same day, taking the Pro-64 Duran Racing Products Bonus Shootout! In a wild ending to the day, Biondo took his second trip to the winners circle with the victory over Luis Valenzuela in the Duran Racing Products Pro Bonus Race. Biondo, who was -.006 red left first not knowing that Valenzuela left the starting line behind him and went towards and across the center line behind him. By standard rule, “first or worse” the centerline infraction negated Valenzuela from collecting the Win over the red light of Biondo. Valenzuela, who had beat Justin Lamb in the semis to advance with Biondo, got loose due to a fuel leak. 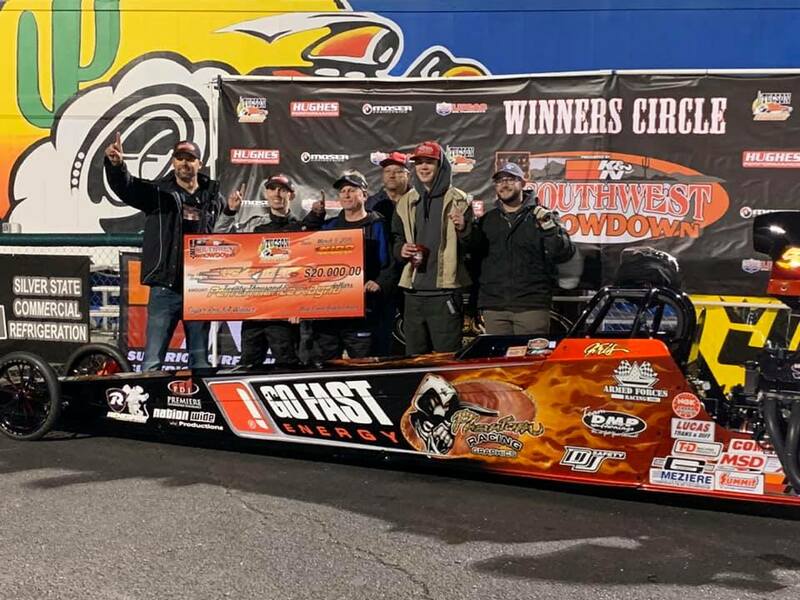 Whitfield sets dial at 4.66 and wheels through 64-Car Super Pro field for Kidd Performance $20,000 Shootout Bonus!! 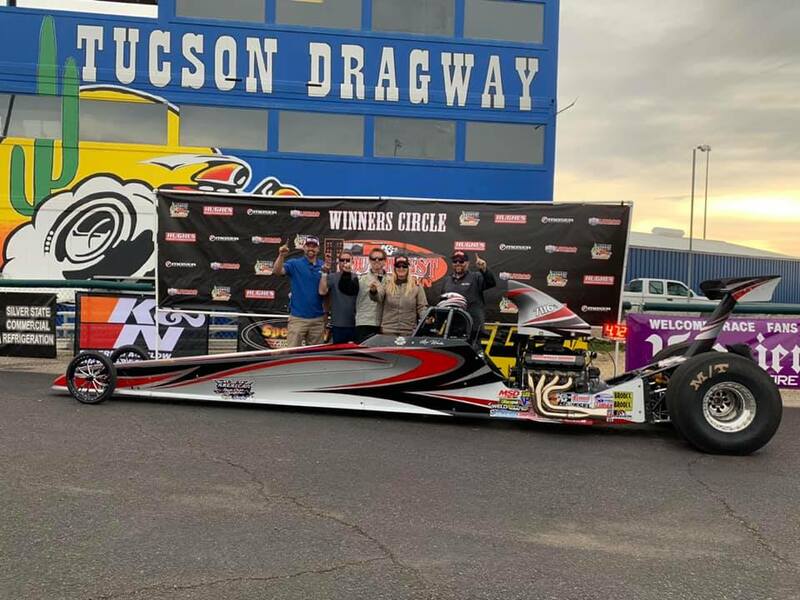 Kris Whitfield made his way to Tucson Dragway with a few hiccups on the way, which were only a story of the past when he rolled into the Kidd Performance Super Pro 64-Car Bonus for $20,000. Whitfield squared off with Logan Warr in the final and threw down yet another dead on 4.66 to seal the deal and end the day at the Showdown.